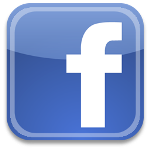 I have used Charmin Ultra Strong toilet paper for years. HEB (a Texas-based grocery chain) is pretty good about making copycat products so I decided to "take the plunge" and try their new toilet paper that claims to be comparable to Charmin Ultra Strong. 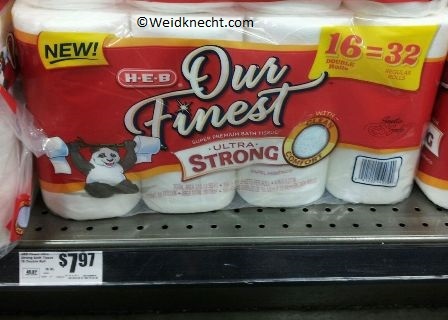 The packaging for HEB's Our Finest Ultra Strong is very similar to Charmin Ultra Strong. 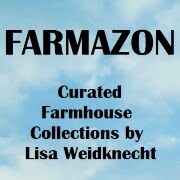 In the store, the biggest difference is the price. 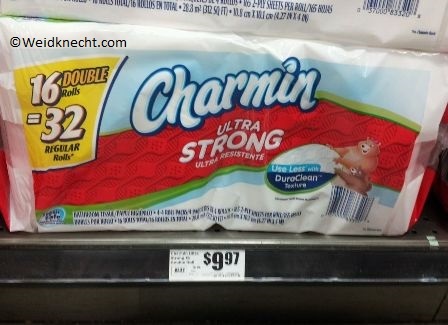 HEB sells Charmin for $9.97 and HEB Our Finest sells for $7.97 for the same 16 double roll package. Since I still had some Charmin at home, I unrolled a bit of each roll and laid them side by side. The Charmin is on the left of the photo and the HEB Our Finest is on the right of the photo. You can see that they both offer the "quilted" look that supposedly helps to clean without falling apart. Upon closer inspection, you can see the color of the countertop through the Charmin toilet paper more than you can see it through the HEB Our Finest. So I've concluded the HEB Our Finest is a little bit thicker. After everyone in my home used the HEB brand for a week, I polled everyone and no one even realized they were using the HEB Our Finest brand. I personally like the HEB Our Finest just as much as I like the Charmin. Given that I'm going to save $2.00 per package, my family is switching to HEB Our Finest Toilet Paper. Well done, HEB!